Follow the leader, 1125CR & 1125R. Local racer Ken Hill was shooting video for Buell. 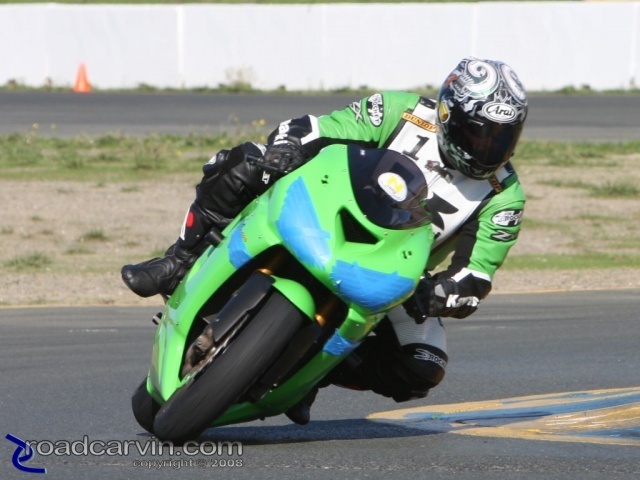 A faster rider negotiating turn 9a at the November 17 Buell Inside Pass track day at Infineon Raceway. Dwight riding a Midnight Black 1125R up the hill towards turn 2. 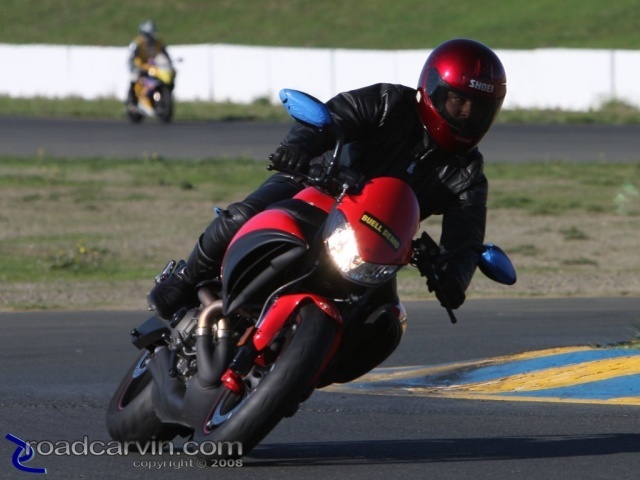 Riding the chicane (turn 9a) at the November 17 Buell Inside Pass track day at Infineon Raceway. Mike exiting the Chicane on a 2009 Buell 1125CR. 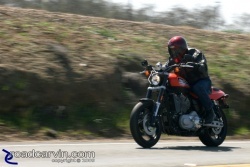 The 2009 Harley-Davidson Sportster XR1200 at speed on Highway 26 near Linden, California.